Great car seat for newborn to 15kg. Easy and simple to use. Works with just seatbelt or can get isofix base. Removable inserts for growth with baby. 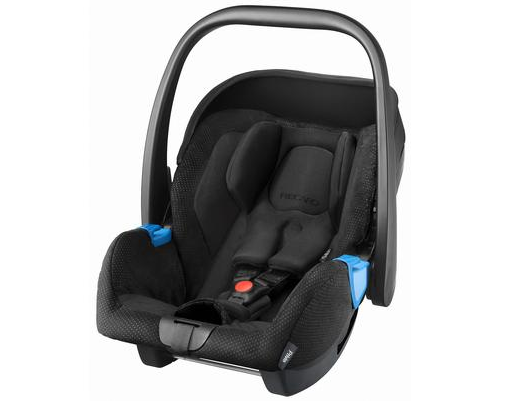 Me and my partner loved this car seat, we found it super easy to use and never had any issues. We used it with the isofix which made it even easier! The car seat has many great features which is why we chose it for our first child and we will be using it again for our second. It is lightweight easy to carry and stylish. 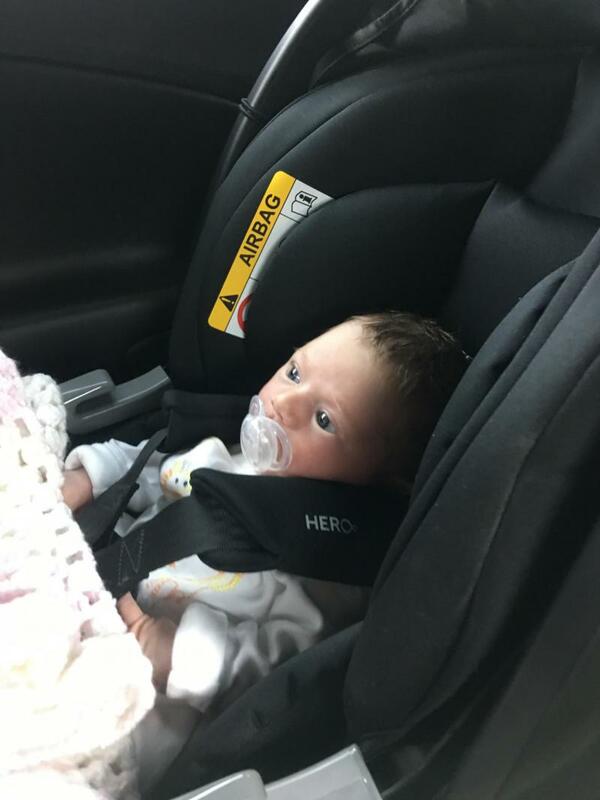 The car seat is well made with lots of protection and very comfortable for a newborn our child was in this up to 12 months and she always looked comfortable. The only downside we found was that if you use it with the base its not easy to get on and off. This is a very good car seat. It’s easy to fit in the car and is lightweight. Looks nice and comfertable. Good value for money and the design is very effective. 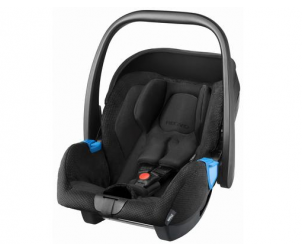 Lovely car seat and comes with the newborn insert which is great when they are newborn. Very lightweight car seat. Easy to use with the isofix base. We had one small issue with ours the button to loosen the straps kept breaking and the spring kept coming out and we had to keep finding it. Its a great car seat. Our 9 month old sits in the seat quite comfortably. We got the seat as part of the travel system with the citylife. In hindsight I would have all car seats checked as my partner has a ford and these seem to have short seatbelts. This is a beautiful car seat. Love using mine. Had one with my little boy and now have another one for my little girl. Very snug comfy and warm. Easy to use. Light to use. 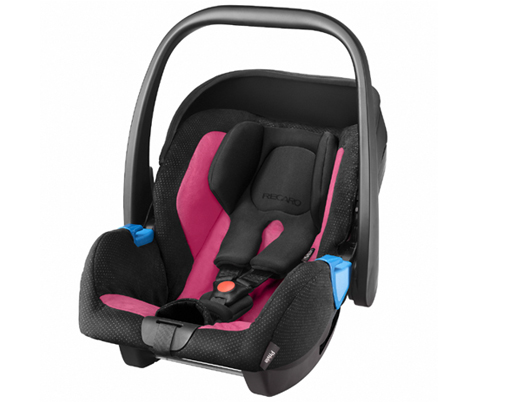 The Recaro Privia is an award winning car seat suitable from birth to 18kg. It is one of the lightest car seats in its class, at a mere 3.7kg, and has an ergonomically designed handle for comfortable carrying. It boasts an innovative HERO safety system: with the shoulder supports, shoulder belts and headrest forming a single unit, guaranteeing the highest possible levels of safety and comfort for the neck, head and shoulders. The shoulder pads cannot slip or twist, so preventing skin irritation to the childs neck. And for the really tiny newborn passenger there is a removable insert cushion for support. You can secure the Recaro Privia seat into your car with the 3-point belt, or use the RECARO fix base (extra accessory). There is one handle on the back of the Privia car seat which ensures easy release from the RECARO fix base. If you use the Privia car seat with your Easylife or Citylife pushchair, you have an instant travel system.